The following Burlington personal trainers are found from our directory. These personal trainers can be hired / asked questions about their rates, services etc through our form below. Personal training is an excellent way to motivate, excel and reach your fitness goals towards a new you. At Home Fitness offers Personal Fitness Training sessions and all services to Burlington, Hamilton, Milton and all surrounding GTA cities. A personal fitness trainer can come to your home or gym. AHT has access to gym and sports training facilities. AHT also offers dry-land hockey training programs. 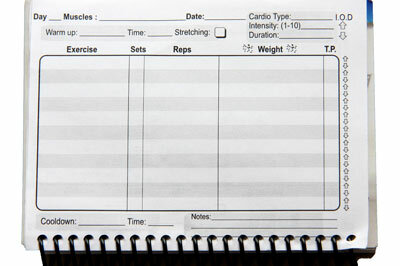 Fitness plan design, fitness nutrition, strength training, core training, weight-loss training, among other services. With AHT you get what you want. Sports, weight lifting, and nutrition are my life. I play rep soccer for the Burlington Crew. I play rep basketball for the Burlington Thunder, and I play football, basketball and soccer for Nelson High School. I workout everyday, using the bodybuilder routines (1 muscle group each workout). I have motivated many of my un-active friends to become gym rats like myself. If you wan't to get in great shape drop me an email! ou get the exclusive service that can only come from a private trainer. Even if you have no equipment or a room full of it you’ll get results...Guaranteed! We show you the correct way to use your equipment correctly or help you in your choices to purchase exactly what you need to get the job done. - You're not disturbed by noisy people clanging weights around. - Undivided attention of the trainer. - You have ALL the equipment to yourself. There's NO waiting. - Learn how to gain maximum value from any existing home gym equipment. - For in-home, the only time needed is the time to exercise. NO TRAVEL. We specialize in providing professional in-home personal training services and boot camp - fully mobile within the City of Burlington and our surrounding communities. Explore our website to learn more about us, our services, rates, and how Balanced Physique can guide you on your journey to improved health, fitness and wellness. Want to be fit? Can’t get motivated? hard to find the time? I make it easy. I understand that today's busy schedules can make working out a challenge. Getting to the gym or exercise class requires planning, energy and time that many of us can't afford. The brief windows of opportunity to work out don't always coincide with gym hours and class times. Why not have your trainer come to you? I'll meet you at your home and take you through custom sessions that work within your fitness level and goals. Let me take the reins and watch as the pounds melt away and your energy soars. As well, I can help you adjust your diet so that your calorie intake and choices work for you and not against you. In fact, you would be surprised how a few simple adjustments can transform your body. Did you know that you should always fuel your body with quick digesting carbohydrates and protein immediately after your workouts? Lifestyle Packages: *No equipment is needed. 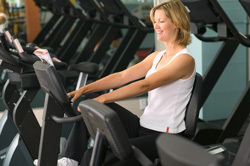 Your Burlington personal trainer will provide everything you need to pursue health and better well-being.